The major elements of the chromium cleanup of 100 acres along the West Side of Route 440 is now complete, formal approvals of those elements pending. Honeywell designed this project with the safety of the public and the workers as our first priority. The construction practices included widely-accepted and proven methods that protect human health and the environment. Extensive investigations identified chromium in soils and groundwater that exceed New Jersey criteria. From the 1900s until the 1970s, a chrome manufacturing by-product called chrome ore processing residue was used as fill in parts of Jersey City, including the Route 440 properties. The remediation also addressed non-chromium contaminants, primarily lead, that are likely associated with other fill soils used at the site. 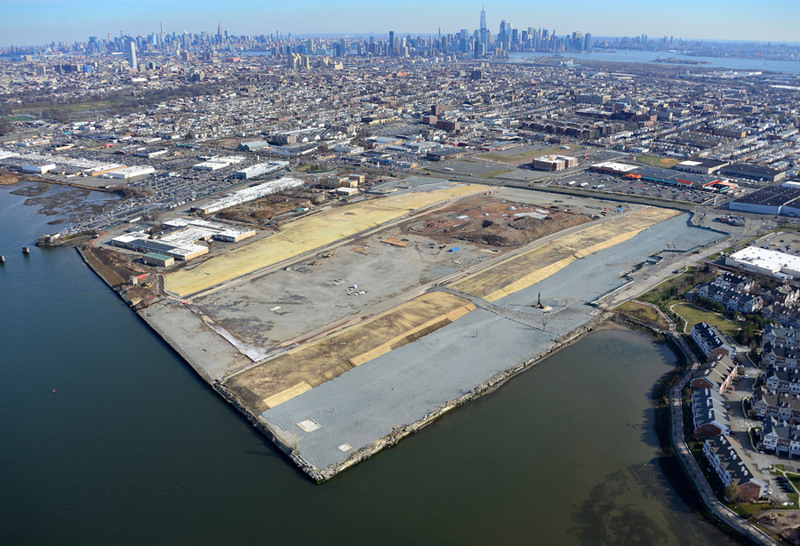 Under plans approved by the New Jersey Department of Environmental Protection (DEP) and the federal court, contaminated soils were excavated from those areas planned for future development. In areas that will become parks, contaminated soil has been permanently isolated using a state-of-the-art containment system. The court appointed a Special Master who supervised all the work.